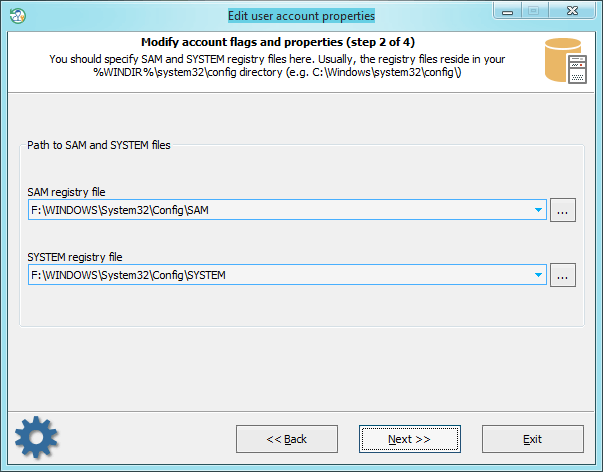 Once the source files are selected, the program enumerates and displays the list of all found user accounts. Select the one you need and click 'Next' button in order to open the final dialog with the user's properties. Be aware! Reading a huge or a highly fragmented Active Directory database may take quite some time! 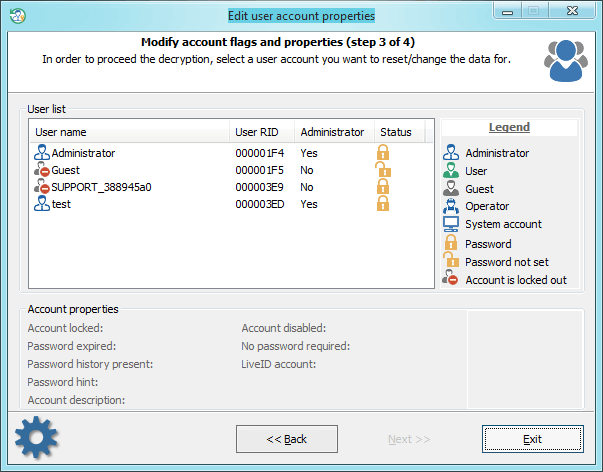 So you can set/unset here different flags which control the behavior of the user account. 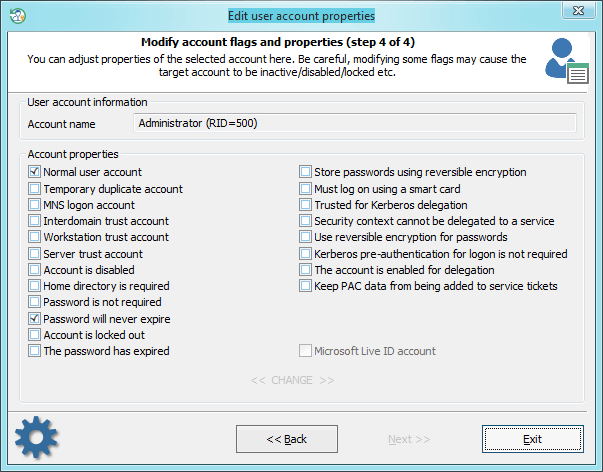 Be careful, changing some flags may cause the target account to be locked/disabled etc.